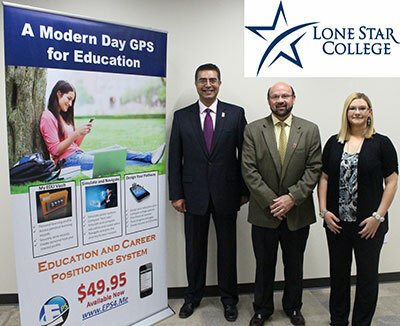 There are "very few means to help people position and navigate themselves against the landscape we call education," says Michael Mathews, project lead and chief strategist for innovation and research at the Lone Star College System (TX). Technical and organizational barriers have traditionally kept students from accessing their own educational records and data (thanks largely to FERPA compliance issues), making it difficult for individuals to analyze their education and career options. Recognizing the need to put sophisticated career-planning tools directly in the hands of students, parents, and advisers, Mathews and his team created the Education and Career Positioning System (ECPS), a suite of tools that analyzes learning records, personal traits, and individual abilities to help students choose potential education and career directions. Employers may also connect to the software to identify future graduates with relevant skills and goals. Leveraging proven analytics and security software, the system is designed to be approachable by individual, consumer-level users both technically and in cost, and it is now available to be licensed by students for less than $50. The Education and Career Positioning System is a suite of tools that analyzes learning records, personal traits, and individual abilities to help students choose potential education and career directions. Mathews aligned the project with the US Department of Education's "MyData button" in order to forge a national initiative that could impact the largest number of students. Dubbed "America's first comprehensive education and career navigation system," ECPS is designed to support all 80 million students in the American education system. It's easy for students to get started via the project website. From there, they can learn how to create a personal interest and experience profile, compare their profile to compatible jobs and careers, determine job outlook projections, and even view career salaries across multiple states. Using the System of Integrated Guidance and Information (SIGI) application and the Educational Data Vault (EDUVault), students own their portfolio, advisement, and guidance information potentially for life, with ongoing access to personal information stored securely in the system. While the ECPS is still new, it is meeting a need that has been felt across the country. Deb Derr, a former career counselor and president of North Iowa Area Community College, remarks, "When students chart a clear course early in their college experience, they will move faster through their field of study." But they also need time to investigate career options, she adds. "How do we address that need for exploration in a very effective, efficient manner, and provide students what they need to be able to make sound career choices?" Derr is one of more than 100,000 individuals who have tested and used the ECPS applications. The ECPS suite relies on several software vendors and technology partners. Personal's encryption algorithms protect sensitive information as user data is transmitted between browser and server. Valpar International's wide range of assessment software contributes to the analysis of students' skills and abilities. Smart Hires is used to build the unique connection between employers and students offered within ECPS. And the system is designed to meet IMS Global Learning Consortium standards--an important design aspect for interoperability both now and for the future. What's next for ECPS? Lone Star plans to market the system widely. But a critical aspect of maintaining and extending the system going forward will be the careful management of partnerships--especially protecting the IP rights among all the vendors operating within the ECPS framework, while continuing to manage its partnership with the ED. Mathews observes: "A disruptive technology like the ECPS will need to be managed with care as well as through the right partnerships that ensure a sustainable model for success."